Item is a watercolour sketch of a costume design for Dalhousie Theatre's 1995 production of Red Noses. The costume is for one of the Boutros Brothers, who is missing his right leg. 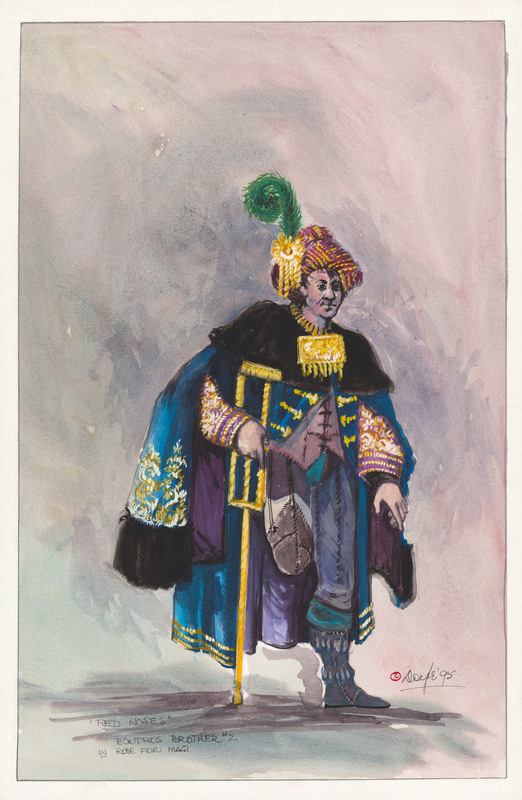 The sketch shows one figure wearing the costume and leaning on a crutch.